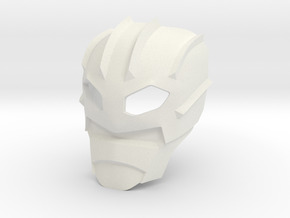 The Kanohi Calix - Mask of Fate - in its original, inorganic form. The mask allows the wearer to perform at the peak of their physical abilities and pull off seemingly impossible feats of athleticism. 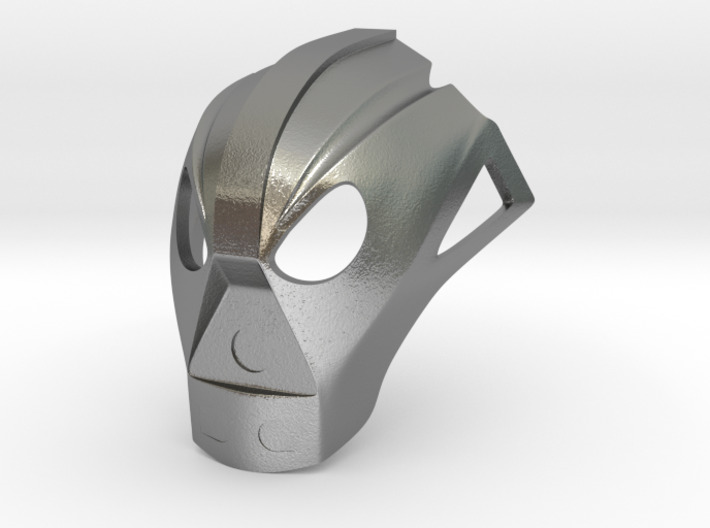 This is my idea of what the mask looked like before becoming the mutated version Jaller Inika used. Perfect for any Toa of Fire or Psionics. 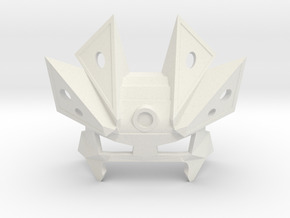 It fits well on both Bionicle Mata and Metru heads, but so far I've only tested with Strong & Flexible Polished.